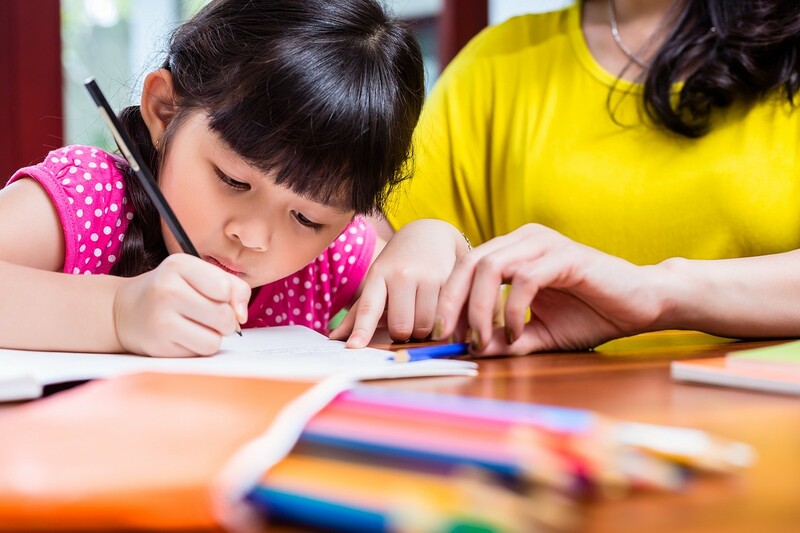 Homeschooling is a touchy subject, but with more and more families choosing it as an education option, there is an increased number of resources available to help. Solo Moms who homeschool their kids face some extra challenges, but as in every facet of life, they find a way to thrive. The most intimidating part of homeschooling as a Solo Mom is the lack of help. Chances are you are employed in some way, taking care of the household both physically and financially, and are also with your children much of the time. When kids are very little, you are responsible for every single aspect of their lives. For most parents, that changes when their kids enter school and they hand over responsibility to teachers and administrators. But when Solo Moms decide to homeschool, that constant responsibility over their childrens’ The most intimidating part of homeschooling as a Solo Mom is the lack of help. Chances are you are employed in some way, taking care of the household, both physically and financially, and are also with your children much of the time. When kids are very little, you are responsible for every single aspect of their lives. For most parents, that changes when their kids enter school and they hand over responsibility to teachers and administrators. But when Solo Moms decide to homeschool, that constant responsibility over their children’s lives remains with them. Solo Moms choose to homeschool for various reasons. According to the National Center for Education Statistics, the most common reasons to homeschool are concerns about the current school environment, dissatisfaction with the academic program, and a desire to provide religious instruction. Of course the decision to homeschool needs to be centered on each child, keeping in mind his or her physical and mental health, learning styles, and any other family-centric needs. The flexibility that comes with homeschooling is one of the best parts for Solo Moms. “I homeschool because I’m lazy,” one mom admits. “I don’t want to be on anyone else’s schedule.” Homeschooling can be done at any point during the year, during the week, even during the day. Here are some tips from Solo Moms on how to stay sane while homeschooling. Don’t compare yourself to others. This is a valuable life lesson, but it’s especially true in the Solo Mom and homeschooling world. The beauty of homeschooling is that you can make the decisions and choose how you structure the education based on the learning style of your children. Although the decision still comes with consequences, it should not come with comparison. Your life is not going to be the same as a stay-at-home mom who has a partner who helps provide for the family. Your life is not going to be the same as the Solo Mom who goes to work in an office every day while her kids are at school. It’s going to be different; embrace it. Keep it simple. Yes, you are the educator. You’re also the chef, maid, and chauffer. You are responsible for all of these things, so find simple ways to get it all done. You can just as easily decide that mornings are for errands and afternoons are for school so you don’t need to stress about when you’re going food shopping. As a sometimes Solo Mom, Tiffany used to get up at 5:00 a.m. to get chores done before the kids got up. That way she had time to devote to them and didn’t have to stress over cleaning. Or, like I do, set an early bedtime for the kids and stick to it. Use the extra time after they are asleep for yourself! Work out, read, soak in the tub, drink wine, or whatever you enjoy during that time. You deserve it! Homeschool groups and co-ops are a great place to find mentorship and friendship with other women who understand that part of your life. Finding Solo Mom friends to go out with creates bonds that will get you through everything else. You’ll want a few trusted friends to help out with doctors’ appointments, sick days, and the days you want to give up. The old adage “It takes a village to raise a child” is so true. Think outside the box. If you’re working and homeschooling, you may need to put in some “school time” on the weekends. This could be a good time for field trips, cooking experiments, and extras that just don’t fit into a busy workweek. You can also swap with other Solo Moms who are homeschooling. Perhaps you work two days a week and can take on another kid or two to help your friend who works an opposite shift. I learned from another work-at-home mom that restaurants with playgrounds, mall play areas, and parks are a great place to get work done. Older kids could even work on assignments there while the younger ones play. There are also hybrid programs, which combine some classroom instruction with homeschool days. This is a great option for those who are also working full or part time. Use your resources. There are several fantastic resources for homeschooling parents, both for morale and legal support. Definitely check them out to ease some of the headache surrounding the process. The Homeschool Legal Defense Association is a great resource for those needing affordable legal advocacy in their homeschooling journey. The Charlotte Mason method is a favorite among homeschooling parents who are readers, and Classical Education divides learning into three stages that correlate to age. With Pinterest and Facebook, there are tons of additional support groups and resources for Solo Moms who are homeschooling. You chose to homeschool your child(ren) for a specific reason. Remember that? Make sure you remind yourself of that on those days that are more challenging. Reflect back on the positives of this challenge, such as the time your child learned to read. Schedule some breaks throughout the school year, allowing both you and your kids some time for fun. Let them read a silly book on a rainy day because you can. Homeschooling can be both fun and infuriating. Don’t wallow in the hard moments; instead, embrace the wonderful memories being made.